As an ISO 9001 certified company, Electro Chemical maintains an aggressive continuous Improvement process to enhance our Ultra High Purity (UHP) manufacturing infrastructure and procedures to meet the ever more stringent part per trillion purity requirements of our customers. We accomplish our continuous Improvement objectives through frequent collaboration with our customers and suppliers to identify, develop, and implement value-added innovation. Our Class 10,000 clean room is a controlled environment where products are welded and fabricated. The concentration of airborne particles is controlled to specified limits. 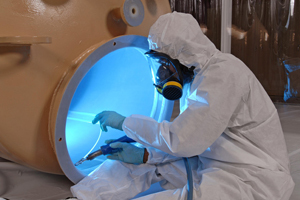 Eliminating sub-micron airborne contamination is really a process of control. These contaminants are generated by people, process, facilities and equipment. They must be continually removed from the air. It only takes a quick monitor of the air in a clean room compared to a typical office building to see the difference. Typical office building air contains from 500,000 to 1,000,000 particles (0.5 microns or larger) per cubic foot of air. 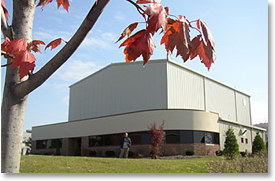 Electro Chemical’s Class 10,000 clean room is designed to limit particles to 10,000 particles per cubic foot of air. 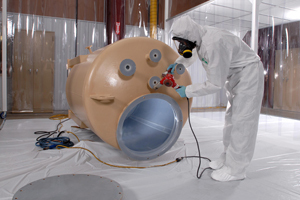 All UHP fabricated systems are helium leak tested to ensure a pinhole free system. All fabricated equipment is hand-wiped with semiconductor grade isopropyl alcohol, then soaked and rinsed with 18 meg ohm DI water to extract any metallic ions that may have been introduced during the fabrication and welding processes. Please contact us for any of your clean room needs.